Wearing the perfect sandals to brunch this weekend? Make sure you take the perfect IG snap, too! Shoes are a girl's best friend, but so are diamonds. If you really want to stand out, mix the two and go for a pair with ~*sparkly*~ diamond-like embellishments. The ultra-glam, crystal-embellished front straps on these Banda Roxy sandals make them work for both lunch dates and nights out. They're light and super comfy, and they stay on, thanks to the handy buckle-fastening ankle strap. Why not choose something metallic? It's foolproof when your background isn't really IG-worthy (like your office's boring tiles). 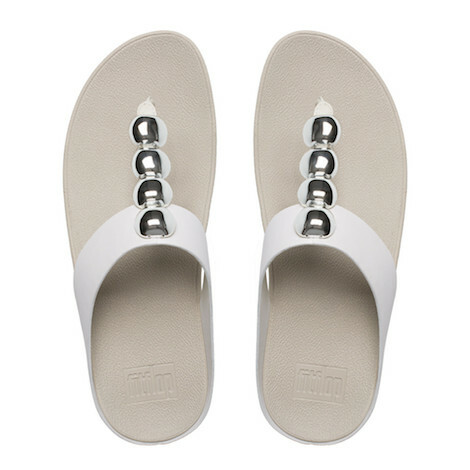 Not only are these Ringer sandals super sleek, they're crafted from soft leather over ergonomic, pressure-diffusing midsoles, too. 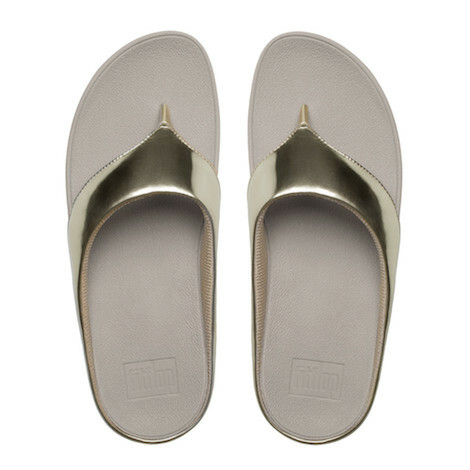 Deceptively simple, they have a lot going on underneath for the luxury of your feet. Artsy tiles + cute sandals = amazing shoefies! Just make sure to choose a non-embellished or simple pair to balance the whole thing out. The Banda Roxy Slide sandals are not just another pretty pair. Nope. With straps strewn with crystals and made with textured leather, they demand attention and will work really hard in your wardrobe. If you're after a minimalist look, set your photo against a bare background (a white surface, maybe? ), and go with shoes that have simple yet striking details. We're sure it'll look perfect with VSCO Cam's SE3 filter. Raise the bar with these ravishing Barrio sandals. Look oh-so-chic in any outfit with these elegant, super flattering, and subtly glitzy slippers. 5. Don't forget the nail polish! Add color to your photo with your favorite nail polish. 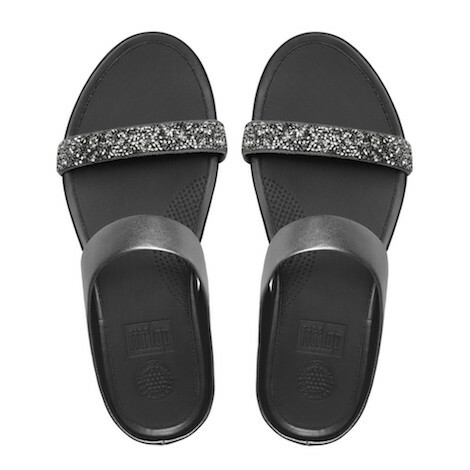 Show them off with a pair of toe-thong sandals, and you're good to go! 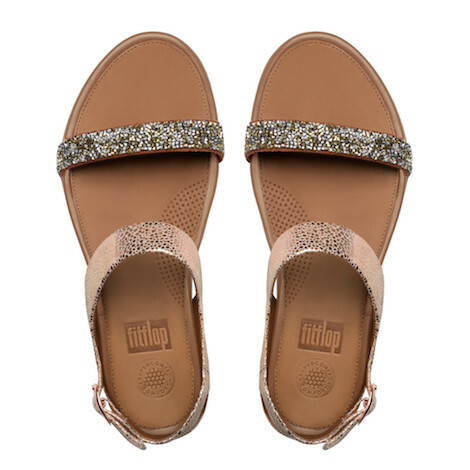 The chunky embellishments and rich leather uppers of these Rola toe-thongs make for an instantly interesting shoefie. The special midsoles ensure your feet won't feel so sore from hunting for the perfect backdrop. If you're so over those #FromWhereIStand posts, why not try a side shoefie—or switch to an OOTD altogether? Just make sure your shoes have interesting side details. You can even show off your legs like a true #GirlBoss! Thought fancy shoes meant achy feet? Think again. 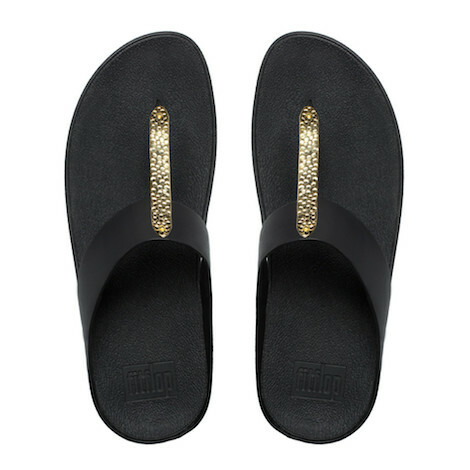 These Banda Roxy Toe-Thong sandals will be the comfiest pair you'll own. Plus points for the diamond-shaped crystal stones and leather-lined uppers! For more style inspo, visit FitFlop's Facebook page here.